I’ve already said what I would choose if I had an Oscar ballot. 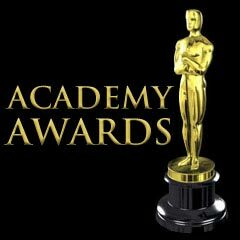 This morning, the 2018 Academy Award nominations were announced, and so I’m making my picks (along with some minor commentary) on the “major” categories. I’m betting that the SAG/Golden Globe winners (McDormand, Oldman, Janney, and Rockwell) all repeat. Feel free to disagree below in the comments. Well, given that “Disaster Artist” didn’t even get nominated (which I’ll get to in a second), and that I won’t see “The Shape of Water” and haven’t seen “Phantom Thread,” the choice really comes down to “Lady Bird” or “Dunkirk” for me. But let’s be honest – “Three Billboards” is going to win. As my wise friend Jill said, the only thing that can stop “Three Billboards” is, well, four billboards. If I were voting, this would be Robbie’s award to lose, with Ronan a close second. Alas, this seems to be Mildred Hayes’s year. Well, those James Franco allegations certainly hurt “Disaster Artist,” no? Franco won the Golden Globe for best performance (comedy), and seemed like a lock to be nominated. The allegations of his deplorable behavior indicate that he has some repugnant personal demons, and that clearly cost him a nomination. (Of course, that isn’t to make light of the accusers: his minor suffering at losing out on a nomination is trivial compared to their hardship.) If I were voting, it’d be between Chalamet and Oldman, but I think this is one of those “he’s due!” years, and it’s Oldman’s to lose. Another category I thought Franco would sneak into. Given that Martin McDonagh (of “Three Billboards”) didn’t make it, and that “Shape of Water” is the most-nominated movie of the year (and because he won the Golden Globe), you could make the argument it’s del Toro’s to lose. But it’s also a year when Hollywood wants to (rightly, finally) celebrate both powerful women and people of color. Therefore, I think either Peele or Gerwig will end up winning. I’ll say Gerwig for the upset. Will be the moment of the night. I included this category because it’s the one in which I have the biggest rooting interest. I loved “The Big Sick” and am very much hoping that it wins. I’d be pleasantly surprised with wins for “Lady Bird” or “Get Out” as well – maybe “Get Out” wins here, and Gerwig wins director, and then both she and Peele have been rewarded. What does everybody else think? Let me know in the comments. This entry was posted in Analysis, Awards, Movies by jacobsjj1982. Bookmark the permalink.